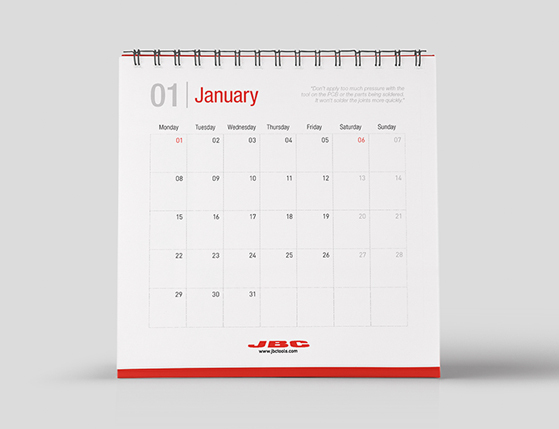 JBC offers you an Exclusive Heating System and a wide range of tips which detect the temperature quickly and increase work effciency. Work at lower temperatures (350ºC). Obtain faster results in less time. Reduce collateral damage (thermal stress on components and PCBs). 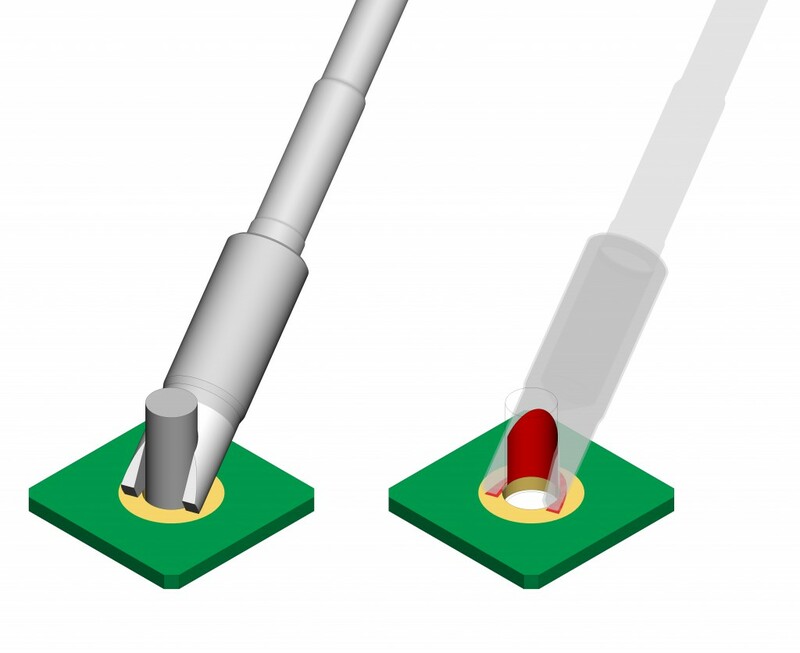 The JBC range includes models from Ø0,1 mm for precision jobs to the Ø15 mm for high power requirement applications. 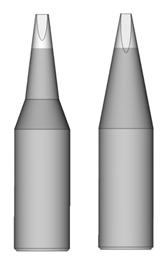 A high thermal efficient tip makes your job up to 40% faster than a tip with a slimmer geometry. 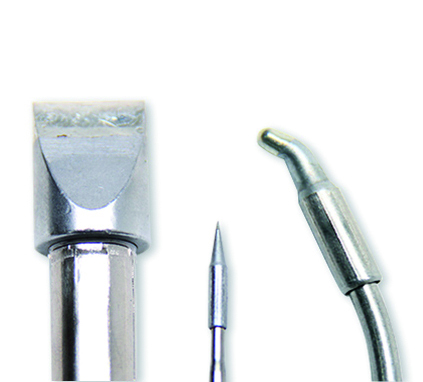 The bigger the contact surface the tip has with the application, the higher the thermal transfer. The more mass the tip has, the more heat accumulated and the lower temperature drop. Remember that rusty and dirty surfaces reduce heat transfer to the solder joint. This entry was posted in Tip care and tagged choose tips, Soldering, tip on 26 June, 2015 by JBC.